Twenty years from now if I am asked, about my most memorable album that I have heard, 'Tritio Jatra' would top that list easily. Yes! I am talking about the latest album by Nemesis. You can listen to it all throughout the day and still not get bored of it. The album starts off with 'Kobe'-- the song that was actually released before the album with the promo video. This, again, was another video that would always be remembered as the pioneer of great music videos of the Bangladeshi music scene. And the song is super catchy! For the people who haven't watched the video yet, watch it on youtube and get your mind blown. After 'Kobe' comes 'Bir'-- another great song. But the best comes next; the title song of Nemesis is just downright amazing, everything about the song is beautiful starting from the bass, drums, vocals and lastly the insane solos by Maher Khan. 'O-boshobash' is a very different song that would take you by surprise and where the guitar solo is completely worth the wait. The album also has an English track called 'Hold on' which, if I didn't know was a Nemesis song; I would have mistakened it to be U2! The album cover, designed by Salzar Rahman. 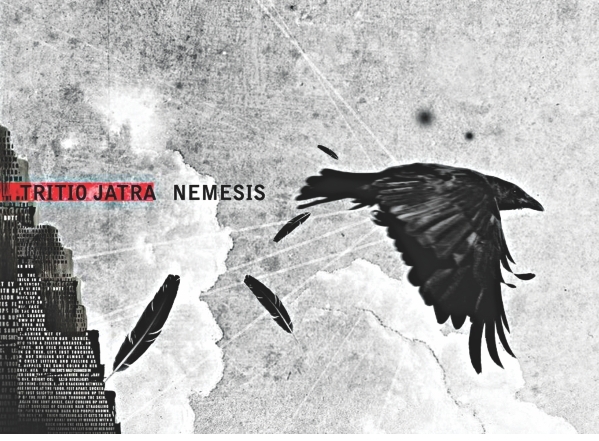 Tawsif Bin Akkas, studying Architectural Science at Curtin University in Australia, and a huge fan of Nemesis says, “Tritio Jatra has to be one of the most complete albums I have heard from a band hailing from Bangladesh, both in terms of technical sound and the musical essence. I have been a huge fan of Nemesis since their single 'Obocheton' released in Aguntok II and have been following the band ever since. I have also been to their live shows so, it's safe to say that I have literally witnessed them evolve from their first studio album. Technical sound wise, it's a very high-quality production. The band obviously took their time mastering each song and going through the song list several times to create a good engineered album. Many say that the quality and sound of the album has improved a lot since their last album. Akkas adds, “The compositions themselves were also very rich in terms of the musical and lyrical. 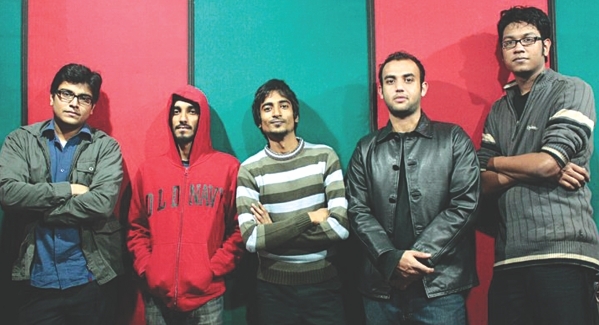 Songs like 'Tritio Jatra' and 'O-boshobash' was slightly different from any of their previous numbers and it seems like they took a step upwards from their days of 'Mrittuchaya' at straight out verse-chorus-verse-chrous-bridge-lead-chorus formula. The whole band is tighter than they used to be and each member of the band was simply outstanding in their own, especially Dio for his brilliant role on the drums. The lyric are fantastic and really goes well with the flow. The approach on releasing the album also was very clever and efficient. The band initially did an acoustic live on 'ntv' and then went on to play with the full set up in various gigs. The timing of the preview of the album (which was a year back) and the release of an outstanding music video of 'Kobe' weeks before the release of the album were smart moves. A scene from their video of 'Kobe'. There wasn't much criticism about the album so far. “However the only comment I have is regarding Maher's guitar tones which seemed the same in almost each and every song. In all seriousness though, I can listen to Tritio Jatra from 'Kobe' to 'Shesh Gaan' without having a problem and the only other album that I could do that with was 'Danob' by Cryptic Fate. That tells you something about how much Nemesis has climbed in a space of 6 years.” concludes Akkas. For those of you, who have not listened to the album yet, grab one right now from your nearest CD store!